Changes in the global ship­ping industry continue to be a challenge for Fiji Ports Corporation Limited. This was highlighted by the chief executive Vajira Piyasena while presenting the company’s 2016 Annual Report to the Standing Committee on Social Affairs at the Standing Committee Room in Suva on Monday. Mr Piyasena said that there was a need for deeper draft and port facili­ties upgrade on all ports around Fiji. “Insufficient technology to achieve optimum collaboration between key stakeholders, this issue is currently addressed through implementation of the single window system under the National Trade Facilitation Committee (NTFC),” he said. “The ageing infrastructure and space limitations at the Suva and Lautoka were also the contributing factor. “Mega size vessel may raise to 22,000 twenty-foot equivalent unit in the near future the size of the vessel will rise to 21,000 twenty-foot equiv­alent unit by end 2017. 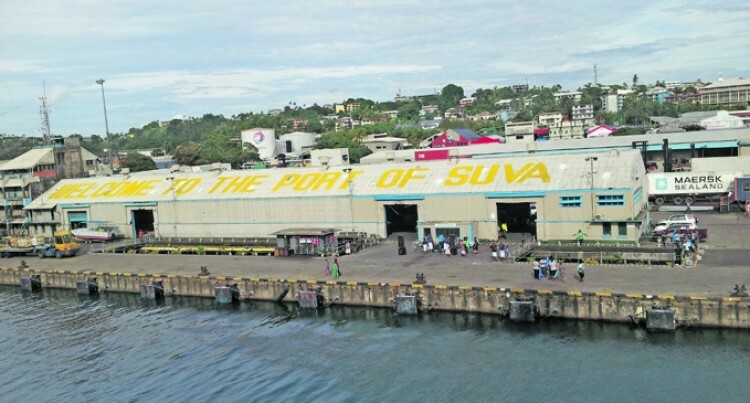 “The key impact of the increas­ing size of ocean going vessels is the fewer calls to the Fiji Ports and there would be a need for preference on higher performing ports and re­quirement on connectivity, whether the ports provide enough feeder routes,” he said. He said there was a post master plan development drawn up in 2016 in place. “A comprehensive condition as­sessment for all wharfs in Suva com­pleted in 2017 and shed removal at Lautoka Port was to create addition­al space was completed late last year. “There was future development plans includes development of yard three and four areas in Lautoka. “For 2016, includes the implementa­tion of strategic change and initia­tives within a broader organisation­al context while working towards achieving the company’s goals by the year 2018. “FPCL’s Strategic Plan 2016-2018 articulates requirements of the com­pany under its role of Port landlord as defined by a range of goals.